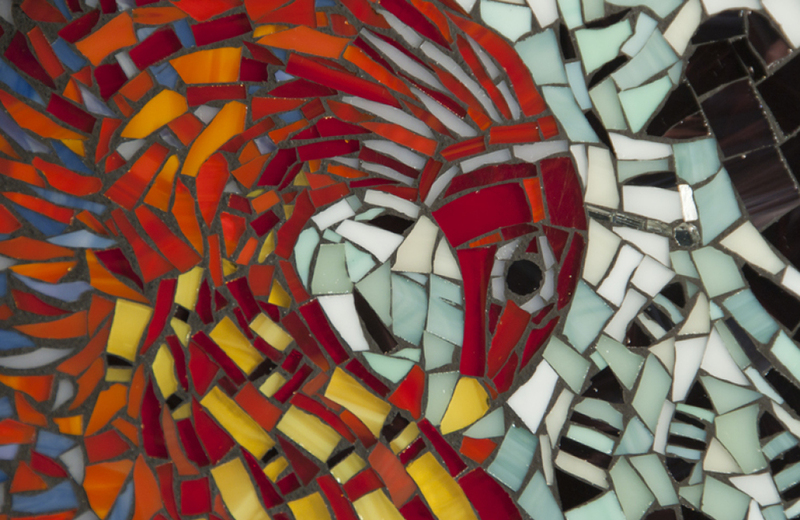 Timeless and permanent, handmade tile and mosaics have been enduring art forms for millennia. Their tactility and labor-intensive creation make them true symbols of luxury. 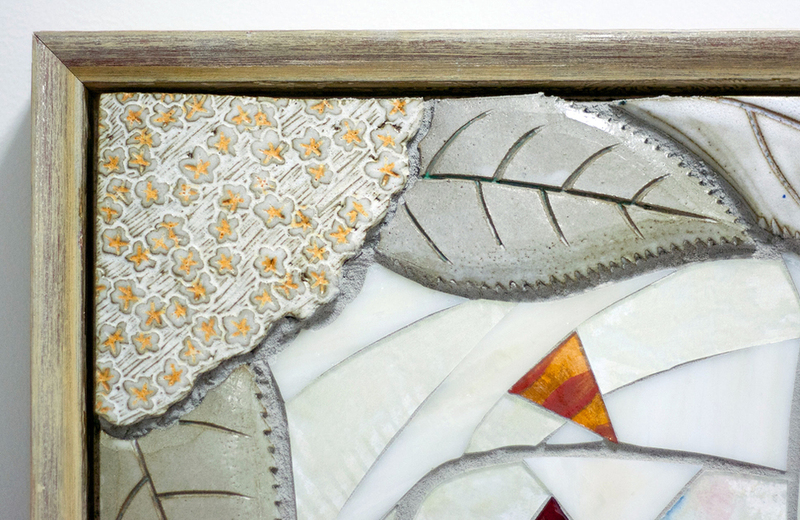 In addition to customizable and fully custom tile and mosaic backsplash, border, fireplace, and mural designs, Christopher creates one-of-a-kind framed art pieces. 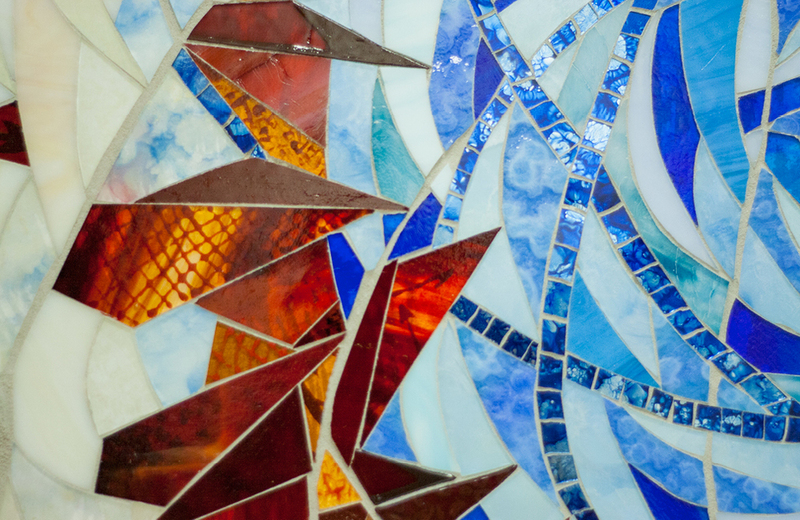 With styles ranging from traditional to modern, and materials ranging from glass to stone to ceramic, he can create mosaics that perfectly complement your taste and surroundings. Christopher can work with you or your interior designer or decorator to compose a fully custom, unique design for your home, or you can choose from his existing library. All of his work is completely handcrafted and made to your specifications. Contact Christopher for more information or to get started on your next project. 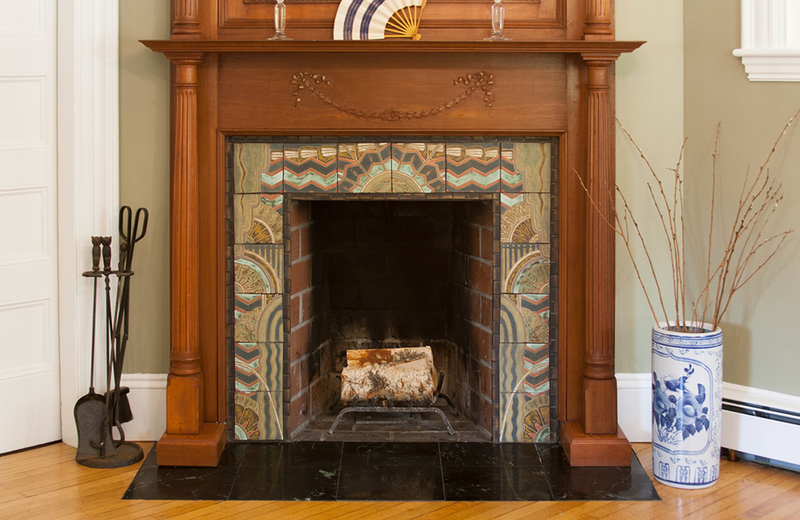 Hand-carved, polychrome glazed tiles for a fireplace surround in Boston, MA. The client requested an Art Deco design, but incorporating elements from an antique obi that belonged to her Japanese grandmother. The result is unique and highly personalized. 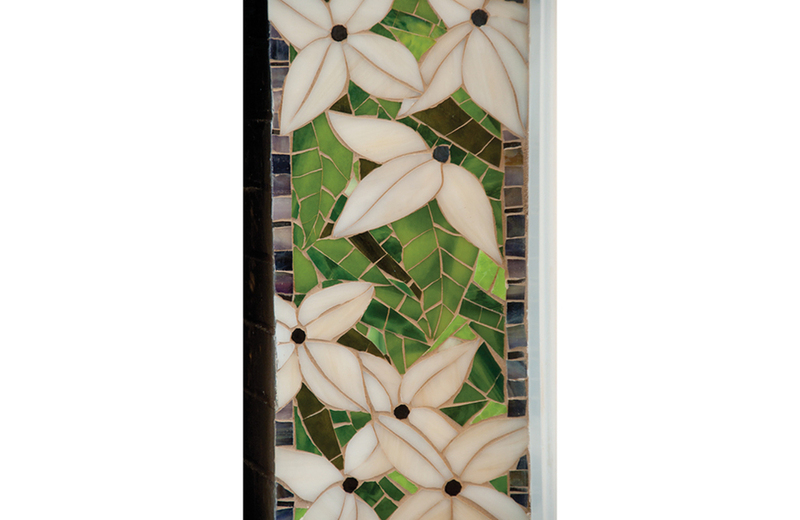 Hand-carved, shaped ceramic tile flowers fit together to create a madala-like 16" square wall piece. 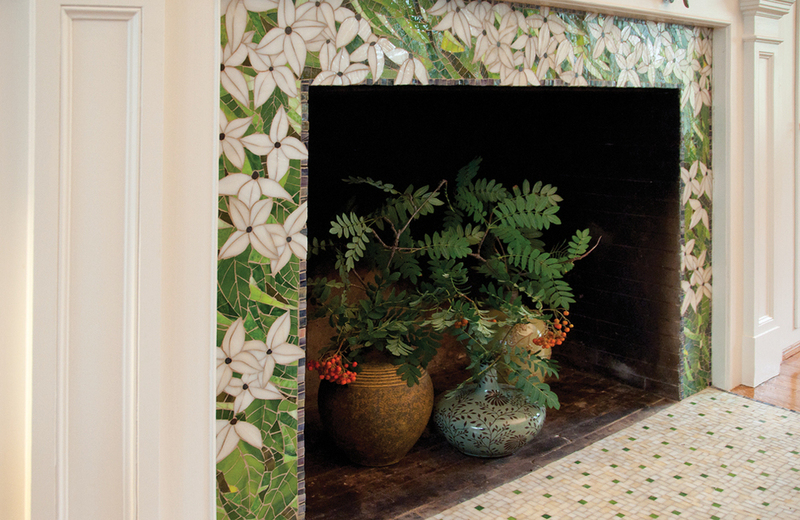 The design could be adapted for use as a backsplash, fireplace, or bathroom wall tile. A maiden, turned into a bird by a witch, spends her first night alone in the forest with other wild birds. 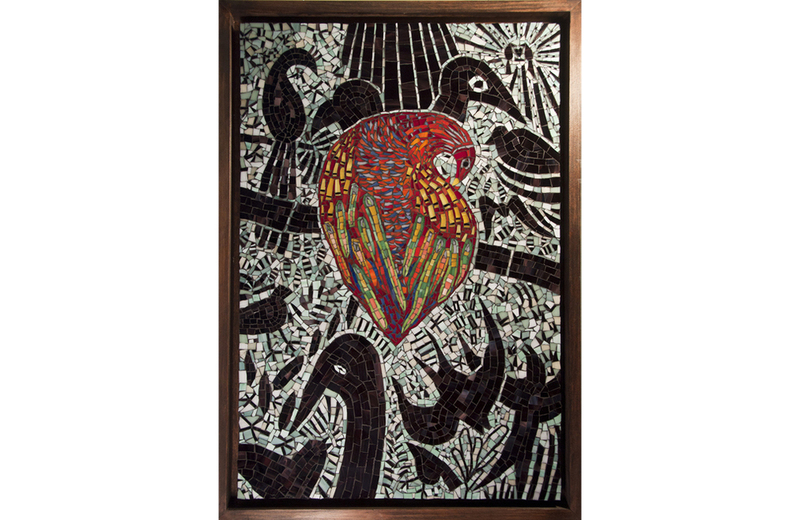 20x30" stained glass mosaic. 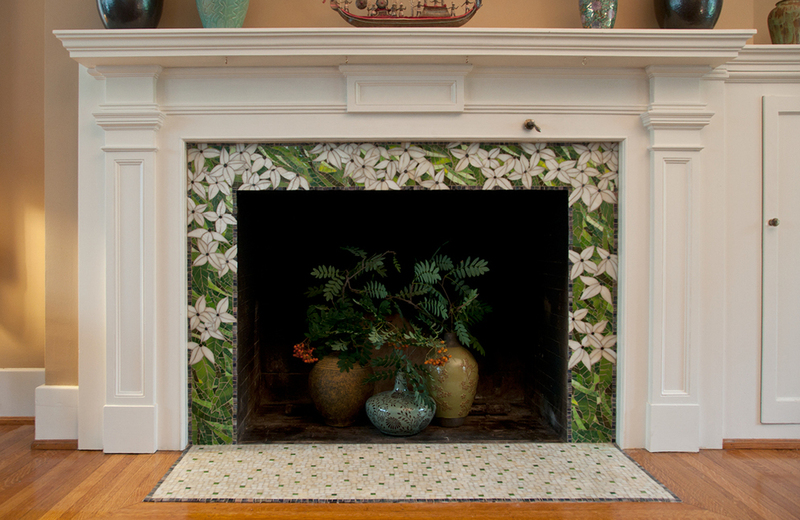 Custom mosaic of dogwood blossoms and foliage surround a fireplace in a Buffalo, NY home. The hearth has a complementary design of scattered, irregular squares. Custom marble mosaic backsplash sample design. Custom stained glass mosaic backsplash sample design. 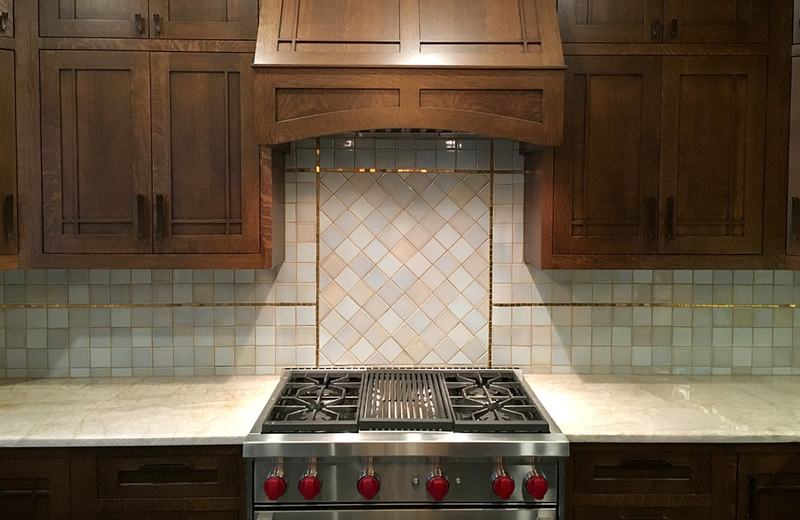 A simple 24K gold mosaic backsplash border compliments custom cabinets in a kitchen designed by Christopher in a Buffalo, NY Arts and Crafts home. Cabinets expertly hand-built by Aurora Custom Cabinets. 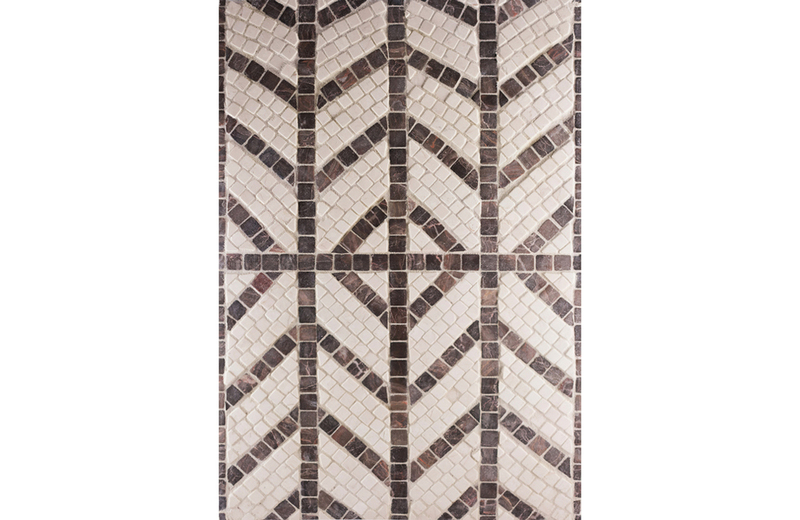 Simple custom 24k gold mosaic backsplash border design. Intended as an apology from humans to whales, the mosaic depicts the ocean as whales have experienced it, before, during, and after commercial whaling. 40x40" stained and enameled glass, surrounded by ceramic tiles. On view at Mystic Seaport Museum of America and the Sea in Mystic, Connecticut through November 2016. Detail of hand-made ceramic tile border. Carved, polychrome glazed art tile with botanical design.